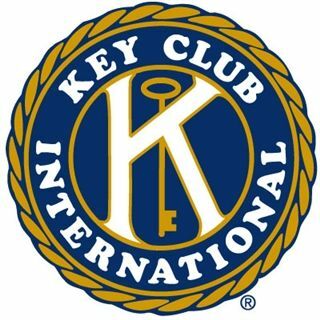 The KEY Club is Crespi’s Service club. They seek out various service activities and programs and work with other school’s KEY Clubs to find exciting events to participate in. This is an International Organization founded and supported by the Kiwanis Club. While overseen by Campus Ministry, KEY Club has its own faculty moderator. Campus Ministry relies on the help of students to assist, plan, and execute a variety of events throughout the year. Members of the Student Council are automatically part of this CORE Team, as Campus Ministry works closely with Student Activities and Student Council. Some of the events that the CORE Team would help to plan, assist and execute include: See You at the Pole, National Day of Prayer, Blood Drives, our Freshman Hiking Retreat, etc. Our Acolyte team assists at the school liturgies. They are a huge help in organizing the Mass and ensuring that it runs smoothly. If you are interested in being part of it, please stop by Campus Ministry! The Melchizedek Project is a group where students meet to pray about their lives, listen for God’s voice, and get serious about answering His call. Their handbook is To Save a Thousand Souls by Fr. Brett Brannen, the ultimate guide for discerning a vocation to the Catholic priesthood. This book is provided free of charge to all participants. The overriding theme of the discussions is discipleship: Am I willing to follow Christ no matter what the cost, no matter what the call? Will I choose to trust His will for me, and courageously go where He leads? While this group will strongly be considering the vocation of priesthood in its discussions, and students who feel the draw to explore this should definitely get involved, it is also a chance for students to seriously look at the other vocations in life to see where God is leading them, because of this, it is not limited to Catholic students, or students who are currently thinking the priesthood is the path for them.